Hawthorn Estates Ltd is a family owned company based in Lancashire, we became established in 1976. Our years of experience have been enhanced by constantly updating and acquiring skills, enabling us to fulfil our clients’ needs. Below you can find what our clients have said about us. “I have worked with Hawthorn Estates for a number of years. I have found them to be accommodating and pro-active to the requirements of the property and intuitive as to what I would like to be accomplished. I have been associated with the management team at Hawthorn Estates for several years and i can fully attest to their professionalism, their expertise and their reliability. The business has a wide range of skills and personnel which cover all aspects of site and property management to provide a consistent and affordable service on a regular country wide basis. 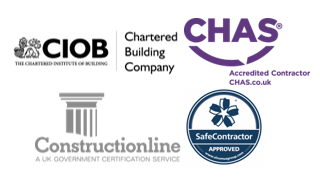 I would recommend anyone with site ownership or maintenance responsibilities to contact Hawthorn for a professional assessment of their needs and a plan to provide ongoing support. Great service from Hawthorn Estates at India Mill on external landscaping areas. All work was undertaken with minimum disruption to all on site, with minimum fuss and her team are a delight to work with. They just get it and get on with it. “We have used Hawthorn Estates to supply concierge staff to a number of large, high profile apartment blocks where it is essential to have reliable personnel. We have been working with them for over two years and in that time we have had very reliable personnel, with no staff turnover and virtually no absenteeism. We also employ Hawthorn Estates to undertake landscaping duties at our sites in Nottingham They have been prompt and reliable and we do not need to chase them to get the job done. “Hawthorn Estates take excellent care of our blocks of residential properties in the North West. They are reliable and contentious and we have a good relationship with both the company and the members of their staff. Work is done to a high standard and I feel our properties could not be in better hands. I am pleased to provide the following testimonial. Hill Woolhouse Property Management Limited (now Ryden) act as property managers of the above Retail Park. We have used the services of Hawthorn Estates for over 3 years. They provide an extensive daily grounds maintenance service to the site to a very high standard at competitive prices. We have always found them prompt to react to other grounds maintenance issues on request. We would not hesitate to recommend their service to other building owners. I would like to recommend Hawthorn Estates as a very professional company who have done work for me and I was very impressed with the end result. “Hawthorn-Estates provide a very reliable and efficient service.”. I thought they were brilliant. They were efficient and friendly and they understood that we are a bank and certain protocols must be followed e.g. they never once asked if they could prop the security door open, they knew without being told that it couldn’t be propped open. They didn’t get impatient when they had to wait for keys – they appreciated that our customers came first. On their last day they had the carpet cleaner and offered to clean the carpets upstairs behind the counter too, and they turned the cleaner off when we had customers or the phone rang so as not to disturb anyone with the noise. They’ve done a brilliant job with the kitchen too and on the whole were very professional indeed. Just thought someone should know. I have known Hawthorn Estates Ltd for around 7 years through business networking and through working with them. They are a hard-working family business which puts their customers at the heart of what they do. they strive to offer an outstanding service and are a business of great integrity. I would have no hesitation in recommending Hawthorn Estates Ltd for their facilities management services. Hawthorn Estates have good ethical and practical standards of work as well as promoting team spirit between the companies in the group. they are active in the community and willing to help their business contacts promote and grow their own businesses too. Kendall is a firecracker with huge amounts of energy and determination. This is reflected in her business with the same focus on doing their best on every occasion to ensure their customer are delighted. Great service from Hawthorn Estates at India Mill on the external landscaping area. All work was undertaken with minimum disruption to all on site, with minimum fuss and the team was a delight to work with. Hawthorn Estates Ltd is serious about their business development and seeking new opportunities. They are a true family business with exceptionally high standards.